Why am I writing this... that is a very good question. I suppose I am for many reasons, one of them being to help others that may be going through the same and are feeling alone. I'm also sharing because it's been part of my process, a way to fully understand (as much as I can) and digest (again, as much as I can) the varying range of emotions that I've been feeling so deeply for far too long. Trying to gather my thoughts for this post hasn't been easy. I've been playing with various versions of it in my head, shaping and molding it to my liking for about a year now. It's the big fat elephant in the room that everyone's aware of but not one is willing to talk about. Depression, even for those of us that have been labeled as "high functioning" is still a daily obstacle. This is my version and it includes losing love, a few therapists, some happy pills, finding myself, and whole slew of family and friends that were there for me when I needed them most. I was lucky... or at least as lucky as you can get after hitting the lowest of rock bottoms. And while I am by no means advocating medication for everyone because I genuinely believe that it is a very personal and individual decision, I am whole heartedly a supporter of getting the help you need be it what it may. Because therapy shouldn't make anyone feel embarrassed and pills shouldn't make anyone feel ashamed. "What if I try therapy?" I bargained with him as I knew there was nothing left but that. I had been living with various bouts of anxiety and on going depression for the last few years without fully realizing it. Or maybe on some level I had, but I honestly believed I could fix it myself. After all, I wasn't clinically depressed, just sad, right? So you name it and I bet I tried it. Birth control- went off them because maybe they were effecting my hormones/moods/ability to be happy. Exercise- I ran everywhere and threw myself into yoga, I literally learned how to stand on my head. Eat healthy- I was looking up any and every recipe I could find that included specific serotonin boosting properties and ate my sad little heart out. Learn new things- I picked up the ukulele, dabbled in fabric dyeing and learned how to weave. Remove myself from toxic environments- I quit my mentally and emotionally abusive job and still continued slumping through life. And so I finally had to admit, maybe I needed help. Round two of the same sad saga but perhaps even worse because now I was facing a lot more rudeness (I thought) and the "we are no longer taking that insurance" spiel which was like nails to a chalk board. After another dreadful week, I had only managed to find someone I didn't hate but wasn't in love with and so we compromised. I'd do a few sessions with both to feel them out and then make a decision. Only I never did. For a solid eight or nine months, I continued to see both. I felt like such a cliche and I kind of laughed it off at how LA I now was. I worked in fashion and had a cat and did yoga and had not one but two therapists! Of course when I say I laughed it off I mean only to myself while actually crying because I kept it very much a secret from the world. I was still not ready to come out and felt frustrated that I couldn't fix myself. Mind you, I would have had no problem accepting, supporting, and even loving someone else that could've been going through this, but for whatever reasons, I was so hard on myself. "But you're not a depressed person" was the response I got from him, family, and friends when I told them about my therapists (now there was a marriage counselor in the mix too) suggesting I go on antidepressants. And I agreed, sort of. When the first one had suggested it, I aggressively said no. I was after all, in therapy twice a week. Surely that would be enough?! When the second one suggested it months later, it bothered me but did get me thinking that maybe... And so finally when our marriage counselor suggested it too, I thought I'd be dumb not to at least try. Did I want to take my own life? No, I'm embarrassed to say I was too much of a coward to do anything like that myself. But boy how I wished it would all just end... I couldn't quite explain how sometimes I felt so alone. Alone while still being a marriage that was surely spiraling down the drain and not helping my situation in the least. And while he was there in a physical and financial sense, I had never felt more alone in my life. There were times when I felt so alone with him that the idea of tip-toeing around in my marriage for the next forty years and then some seemed terrifying. Surely we couldn't live like this, and the thoughts "I'd rather be dead" would creep up from deep within and I would cry. This had become bigger than us. And she would point out to me "Its seems like you are willing to sacrifice everything for the sake of the relationship to the point where there is nothing left to give. When does it end?" I was a prisoner of my own mind, slave to my own self imposed rules and I was driving myself mad. So what exactly was my problem with the pills? What if I wasn't me anymore? What if I was numb, couldn't feel things, wasn't creative or passionate about anything anymore? What if it didn't fix us or me? What if after all this he still couldn't love me because I had become so impossible to love? And did it mean I had failed? That was the first honest and open conversation I had ever had with him and the tears would not stop streaming down my face. And he listened. He actually heard me for once. I was so scared of living, I had somehow ended up hiding behind him without even realizing it and now he didn't want to be there for me to hide behind anymore. Truth is, I couldn't blame him either. I guess that's when I finally reached the point where I felt like I had nothing left to lose so I gave in and made an appointment with a psychiatrist because they, it turns out, can prescribe stuff like drugs. And in case you're keeping track, I was now down to one therapist (the insurance one and I broke up after I left my job and was no longer covered), a marriage counselor, and now a psychiatrist. It was explained to me that sometimes, when stressful life circumstances collide with hereditary dispositions, depression can be triggered. Serotonin is the thing that helps keep us happy and normally it replenishes itself. But sometimes, when too much has been depleted and for too long, the brain might need help in catching up, which is where the pills came in. Or at least that's what I think I remember hearing through the haze of it all. I knew this would be the beginning of another long and hard road and that it was very possible that things could get a lot worse before they got better with trying to find the right drugs and dosage, so I decided I needed to surround myself with unconditional love and support. Something I knew he couldn't give me, so I decided I'd go home to Miami. Just before I left, I had my last session with my therapist where she congratulated me for taking another step towards self preservation. She also mentioned that I had been an amazing patient to work with, always putting in the work on my end and focusing on being introspective no matter how much it hurt. And lastly, that I was finally talking about my life and experiences as someone that was actually going through them because when we first started, I had spoken from a detached place, as if I was talking about someone else. Always a teacher's pet, I took those words of praise and headed east. I can remember now with a weird sort of fondness how despite the fact that the drugs were making me feel all sorts of terrible, I was willing to take it if they helped me in the long run because nothing could be as bad as how I had been feeling for the last five years give or take. As the side affects subsided, I noticed I didn't quite feel anything, which was a relief for the time being. I even tried replaying the last year of my marriage and some of the harsh truths that I hadn't wanted to hear that had come out during our marriage counseling sessions just to see, but nothing. No sadness, no tears, nothing. Maybe I was all cried out? And while I didn't particularly want to feel nothing forever, for that moment in time, I embraced it. Slowly as I healed and started to balance out again, I started to feel stronger, more capable. It was like I had been in a dream-like, fuzzy state for years and I could finally see clearly. For once I felt like I could understand things from a logical stand point without falling apart. What's more is, I felt alive again and I knew what had to be done. If you're interested in that story, you can read about it in an earlier post here. It's been over a year now and I am honestly so glad I went on medication. I now understand that expecting myself to just get better without treatment is like asking a diabetic why they can't just deal without insulin. We both need it in order to function and that's ok. Will I stay on them forever? I don't know, I don't really think much about it. But if I had to, would it be the end of the world? Not at all! I know I got lucky in finding the right pill and dosage on the first try, but even if that hadn't been the case, I know I would've eventually gotten here. These days I'm very open and honestly share my story with anyone that might ask because I know what it's like to feel afraid and alone. If I could hold each and every single person's hand through their own journey, I would. Because it will be ok. And you don't have to feel like the world is ending, in fact, the world is just about to be reborn for you. A few things that I'd tell my younger self if I could would be to reach out for help sooner rather than wait and try to carry the heaviness on your own for so long. That more people are going through this than you realize, you are not alone. 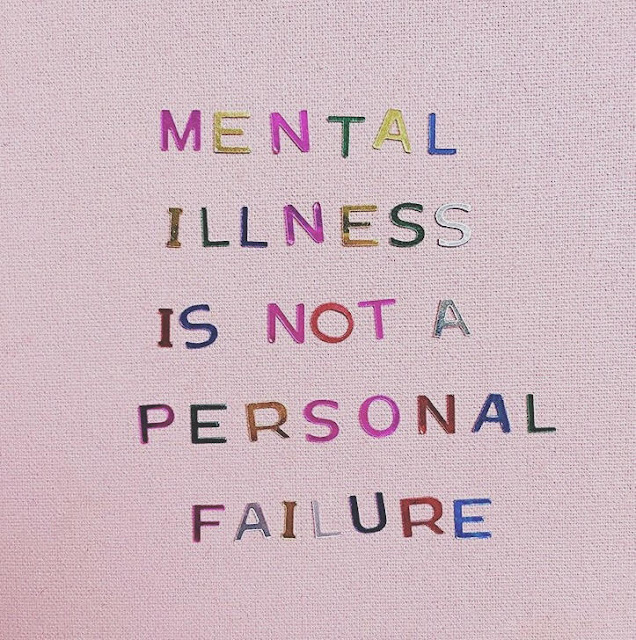 That having a mental illness doesn't mean you failed. 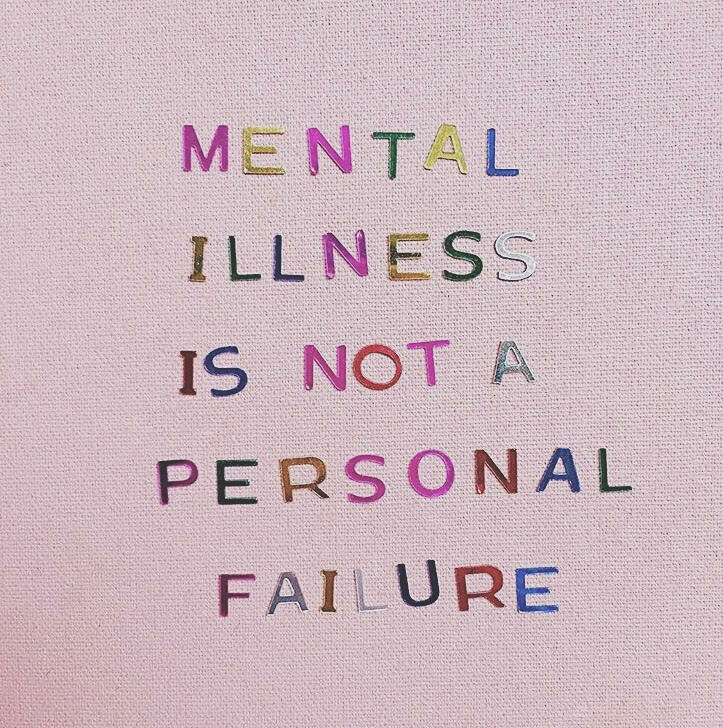 And that depression doesn't have to define you. That you will get through this because you are more resilient than you give yourself credit for. That you can trust and lean on loved ones for support when you need it. And that you should be kinder to yourself, it's ok to have bad days. I'd also like to say a very special thank you to my parents, who did their very best to try and understand and continued supporting me even when they didn't. My sister for allowing me to be imperfect, raw, and vulnerable with her. My mother in law for her endless support despite what must've been a very conflicting situation for her. Those friends of mine that came forward with their own experiences of depression and pills and encouraged me to keep going. The strangers that I met along my cross country journey that accepted me as I was, a work in progress and loved me for it. And of course Brooklyn, because for better or worse, he's always been by my side without judging. So that's my story for now as it will forever keep unfolding and changing and I hope to continue sharing as I go. My name is Jackie Lugo and this is what depression looks like. Sometimes it's smiling and sometimes it not. Sometimes it's creating and sometime's it's destroying. Sometimes it just needs to be listened to and other times, well, other times it just might need a hug. >>>This is deeply personal to me so please be kind. If you have no nice thoughts or comments, that's totally ok, but then I'd rather you keep them to yourself. 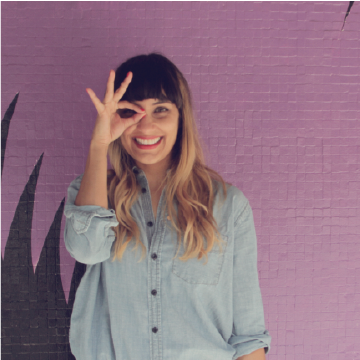 Only hope and positivity allowed here on my blog, thank you! One way of me sharing before I was actually able to was by posting things on facebook for my family and friends to read and learn from. Feel free to check them out here, here, here, here, here, here, and here.